« Google Adwords Keyword Alert! If you live in a city and market like I do – one with clear boundaries between itself and cities close by – the differences between geo targeting location options and results within Google Adwords may not appear obvious. As far as I can tell, Google Adwords offers two types of predefined targeting perimeters: the first at the “City” level and the second at the “Metro” level. I am not absolutely clear where Google gets its definition of and parameters for it “City’ coordinates. However, as you can see in my particular city’s case there is little difference between the City and Metro geo targeting options. 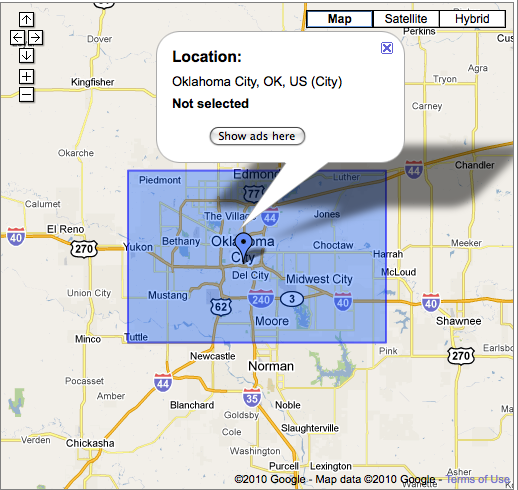 I believe Google assigns its Metro targeting parameters via the Designated Marketing Area (DMA) system. When geo-targeting campaigns in Google Adwords, be sure to examine the differences between the City and Metro targeting options to make sure your Adwords advertising campaigns are reaching the internet audience in all the right places. 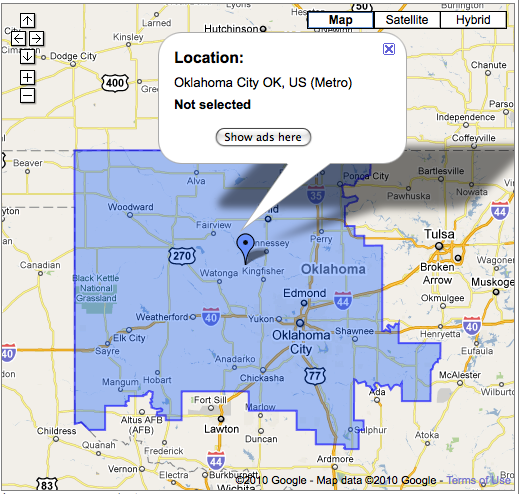 This entry was posted on October 20, 2010 at 3:58 pm and is filed under Designated Marketing Area, Geo-Targeting, Geographic Audience, Google Adwords City Vs. Metro Geo Targeting. You can follow any responses to this entry through the RSS 2.0 feed. You can leave a response, or trackback from your own site.